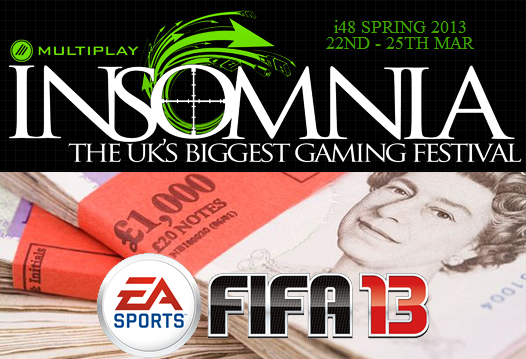 Today is the day we have all been waiting for as all the BIG guns in the FIFA scene go head to head at insomnia48 (i48) courtesy of Multiplay UK, Mad Catz and Sweetpatch TV in the Multiplay 1v1 FIFA 13 Pro Cup Day. This tournament runs on both Saturday and Sunday to account for the potential of extra players and also to make the schedule more relaxed for the players! It’s not too late to enter either!